Dr. Savaş Alpay, Director General of the SESRIC, visited the International Telecommunication Union (ITU), Geneva on 3 July 2009. During his visit to ITU, he met Mr. Hamadoun Toure, Secretary General of ITU and conducted a fruitful discussion on the possibilities of sharing and exchanging statistical data related to ICT and the cooperation between the two institutions in the capacity building activities in ICT statistics, particularly for the National Statistical Organizations (NSOs) of the OIC Member States. They also agreed on exchanging statistical and other publications and inviting each other to the activities such as conferences and workshops organized by their institutions, especially to the activities related to the technical cooperation for reducing the digital gap in the least developed member countries. Dr. Alpay also offered an invitation for the ITU to attend and participate in the “International Conference on E-government: Sharing experiences”, which will be organized by the SESRIC in collaboration with the E-government Centre of the Public Administration Institute for Turkey and the Middle East (TODAIE), and the Turkish International Cooperation and Development Agency (TIKA) on 8-11 December 2009 in Turkey. 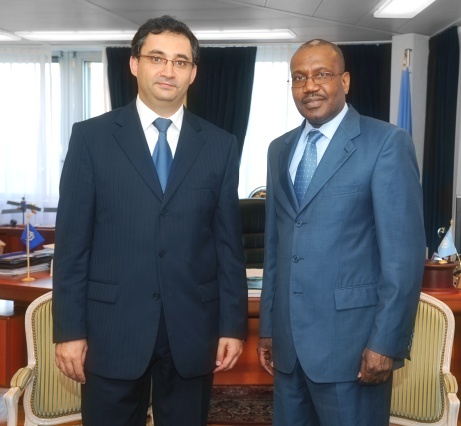 Dr. Alpay also visited the World Intellectual Property Organization (WIPO), Geneva, Switzerland on 30 June 2009. During his visit he conducted a meeting with Mr. Francis Gurry, Director General of WIPO, where they discussed and exchanged views on the possible ways and means of collaboration cooperation between the two institutions, particularly in the areas of research, statistics and technical training.